Dermatillomania use to be my dirty little secret. It is now something that I have overcome and I am working with a bunch of great people at the CBSN to spread awareness and offer support for people dealing with body-focused repetitive behaviors. Here is an article that I wrote that provides some tips, advice and remedies for those making it through a relapse and how to stay positive and get back on track! Paperback, Colour Edition, 100 pages. Read on March 14, 2014 . I won’t toot my own horn too much here (as I am a contributor to this awesome novel) but for people who suffer or who have suffered from Dermatillomania this book is one of the first of its kind. 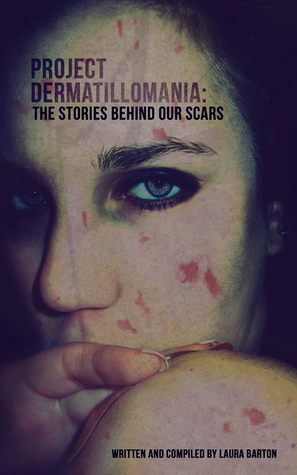 Project Dermatillomania is written by people who know this disorder and deal with it everyday. They know what it feels like to be alone with the condition and through their own bravery and dedication all came together to share their stories to help others know that there is hope. These stories are personal, they’re artistic, beautiful and raw; ranging from pieces of art, graphic design, pictures and poetry from people from all over the world. They give an insight to the turmoils of Dermatillomania which is meant to be standing point of hope for sufferers and a basis of understanding and a resource for those that love them. If you have any questions or comments about the book please feel free to ask me. You can also reach out to: projectdermatillomania@gmail.com.